Thanks to Amy, of Amy's Creative Side, for organizing the Spring 2015 Blogger'S Quilt Festival. There are always so many wonderful and inspiring entries, and this year is no exception! 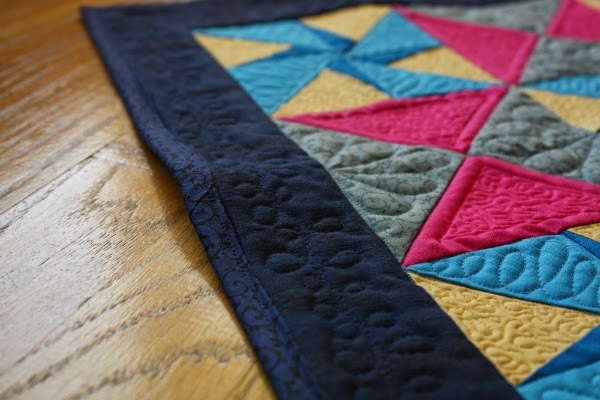 All quilters are welcome, whether you've just finished your first quilt, or you've been at this for decades, so head on over and link up your fabulous quilts! My first entry into this Festival is Twirling Star, which I am entering into the Original Design category. 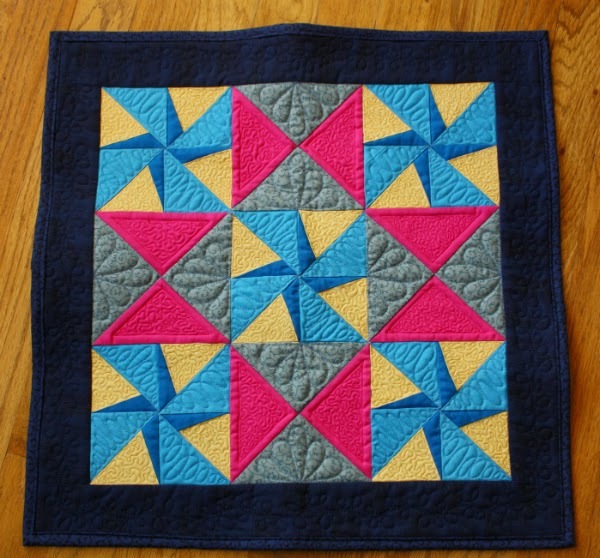 I love star quilts and pinwheels, so this was such a fun quilt to design and make! You can see my original post from when I finished this quilt here. The pattern for this mini quilt is available in my Etsy and Payhip shops. You can also see the version Kitty (The Night Quilter) made here. Planning the quilting for each section was fun too. I love the difference the quilting makes! Thanks for stopping by to check out my entry! I enjoy the blog hop and getting to see everyone's hard work featured again. I hope it is a fun festival for you! A lovely quilt, and interesting design. Good luck in the festival. A great entry for the festival. Loved seeing your beautiful quilting again. 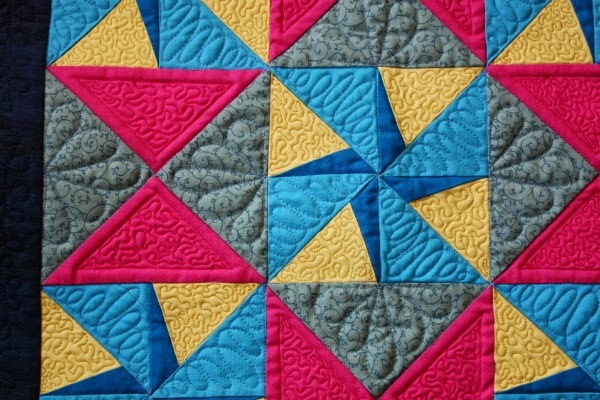 I like the colors and the quilting. Very cute!